12-3/4in x 9-3/4in. Quick & easy using fat quarters &scraps. 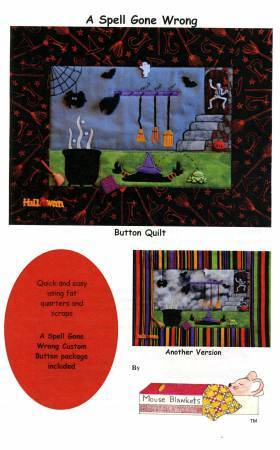 A Spell Gone Wrong Custom Button Pack included.